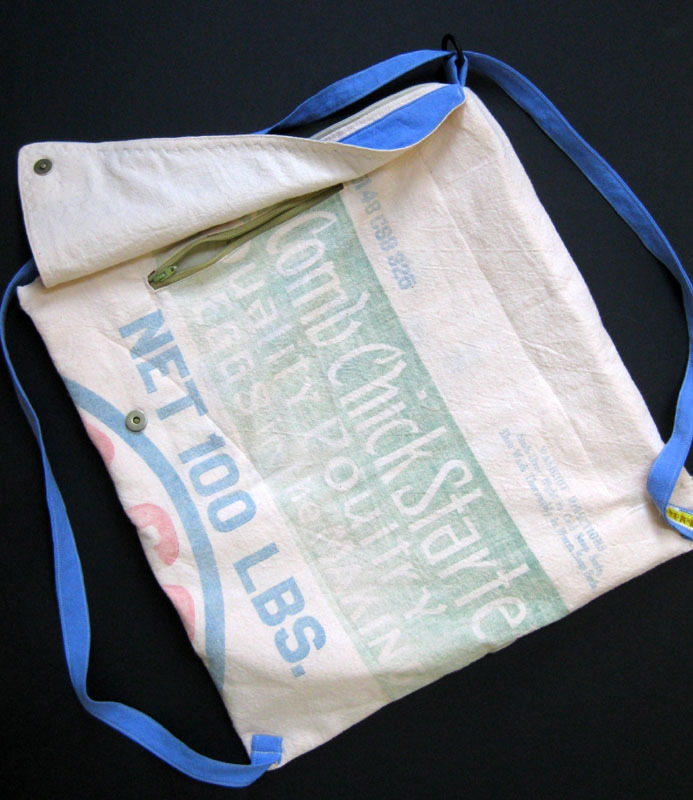 Vintage Chick Starter Feed Bag Backpack | w3bCh1ck! This entry was posted in Up^Cycles on July 24, 2010 by admin. 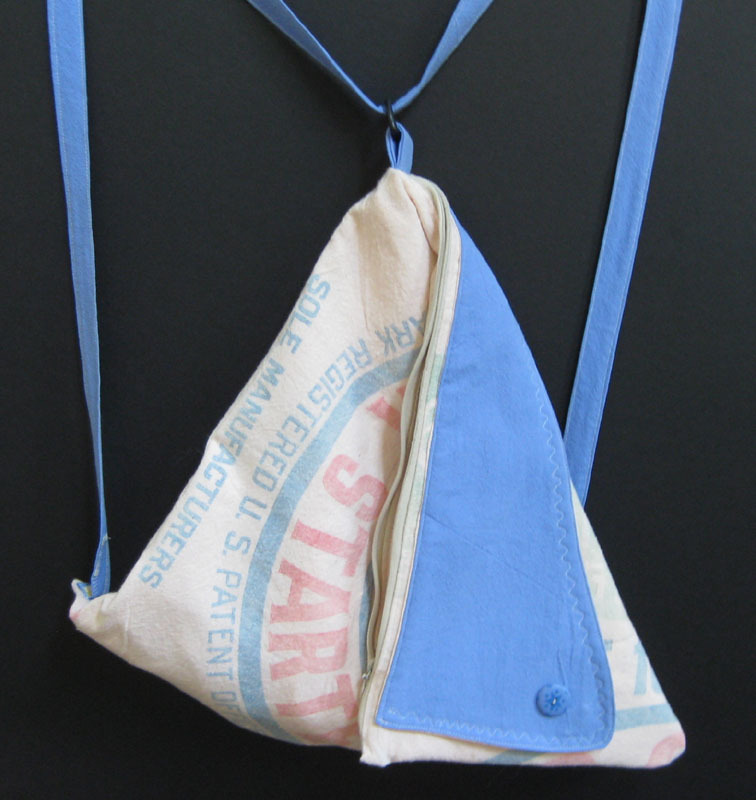 This backpack purse is based off a commercially available pattern, one of the few times I’ve used a pattern but it was such a great shape I couldn’t pass it up. It took a few tries to get the straps right but I do like the result! 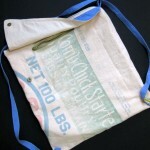 Un-snapped it is a square 14″ x 15″ bag with a recycled zipper at the top. 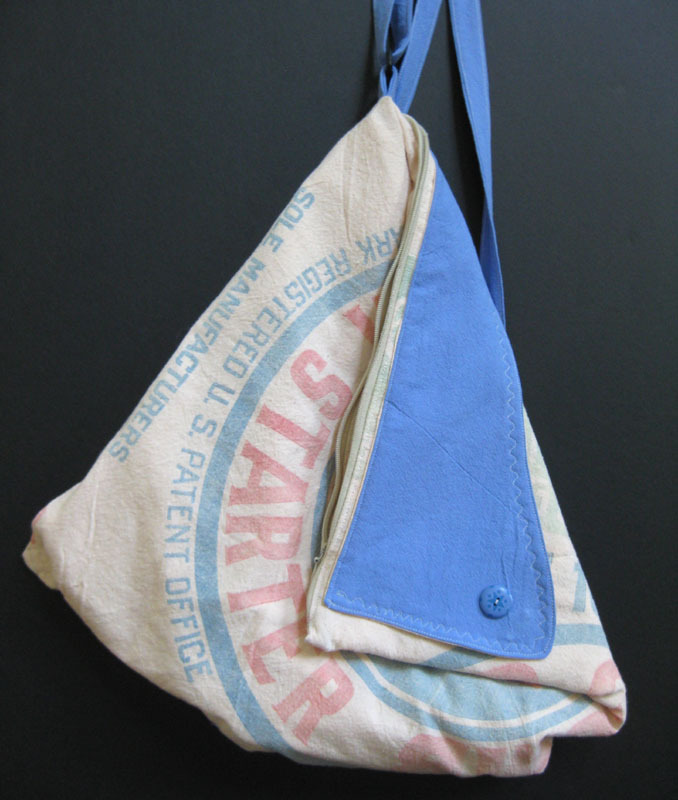 Under the blue flap (also a magnetic snap) is a [recycled] zippered pocket. 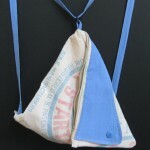 When you fold over the front to snap it you have a backpack ~ 19″ high! The lining is made from the same feed bag so is also a very pale pink. 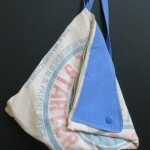 Click here to view more about this bag on my Etsy site!